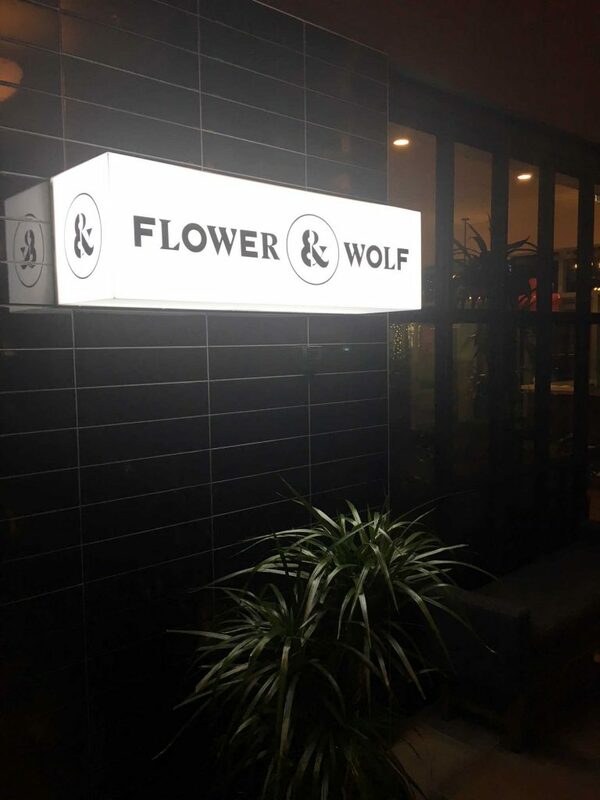 Disclaimer – We were hosted for dinner at Flower & Wolf but all thoughts and opinions are my own. It was a Saturday night and hubby and I were due for a long overdue date night. 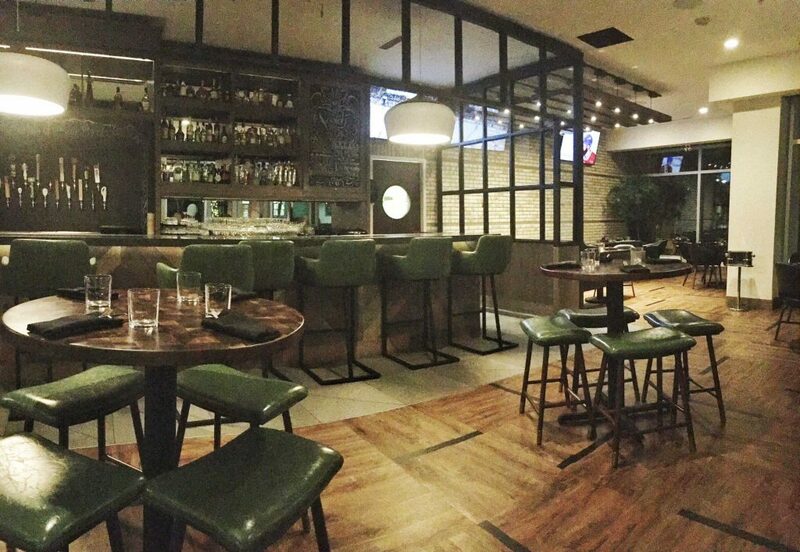 We were looking forward to trying out Flower & Wolf, located in the Sheraton Eau Claire. I had sampled some of their offerings in the summer at Taste of Calgary and I was looking forward to trying out more of their menu. 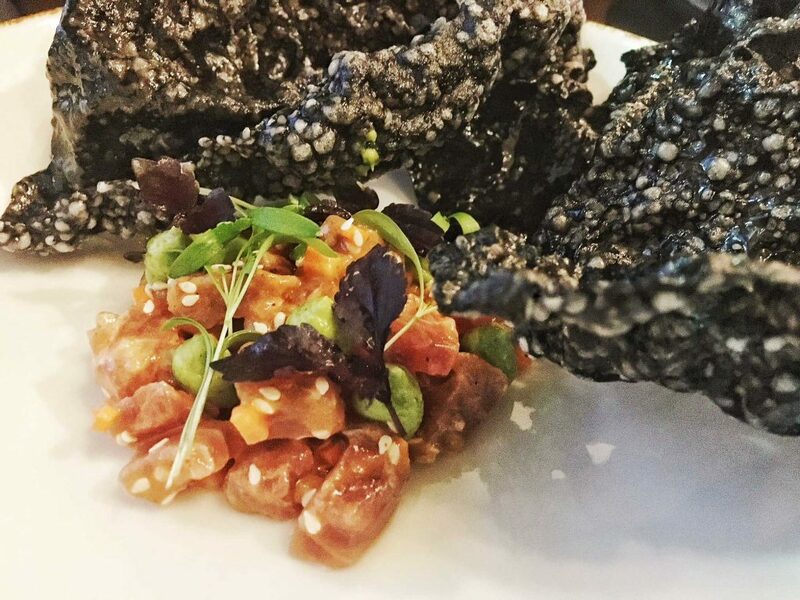 To start, we had the Ahi Tuna Tartare. The tuna was tossed with avocado and celery in a yuzu hot sauce. Served with the lightest squid ink crackers, this is definitely something I would order again. We also had the spiced nuts which I had tried at Taste of Calgary. 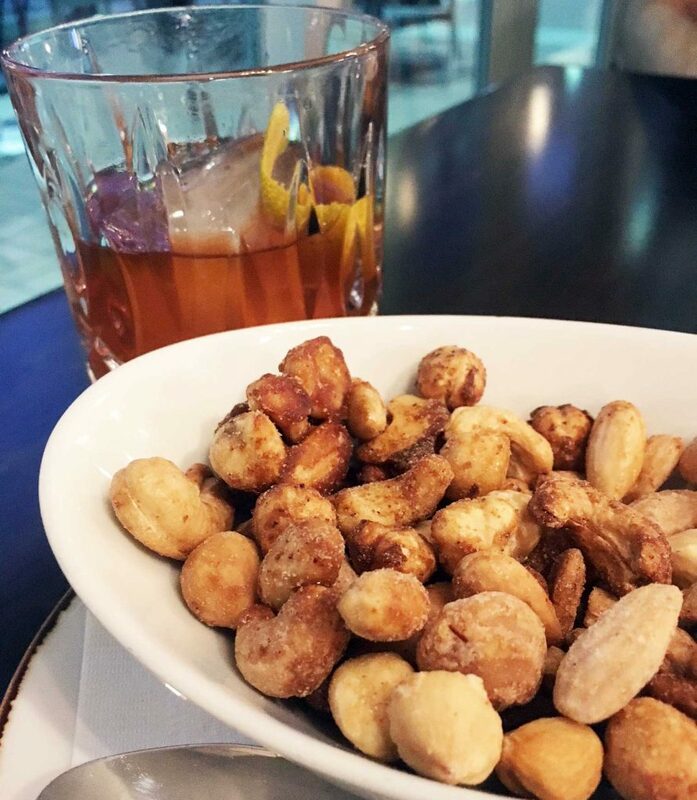 It was a generous portion of all the good stuff – cashews, almonds and hazelnuts toasted and the perfect snacking food. For our mains, the Southern Fried Chicken stood out and I knew I had to order it. The chicken was drizzled with Tabasco honey and topped with pickles. 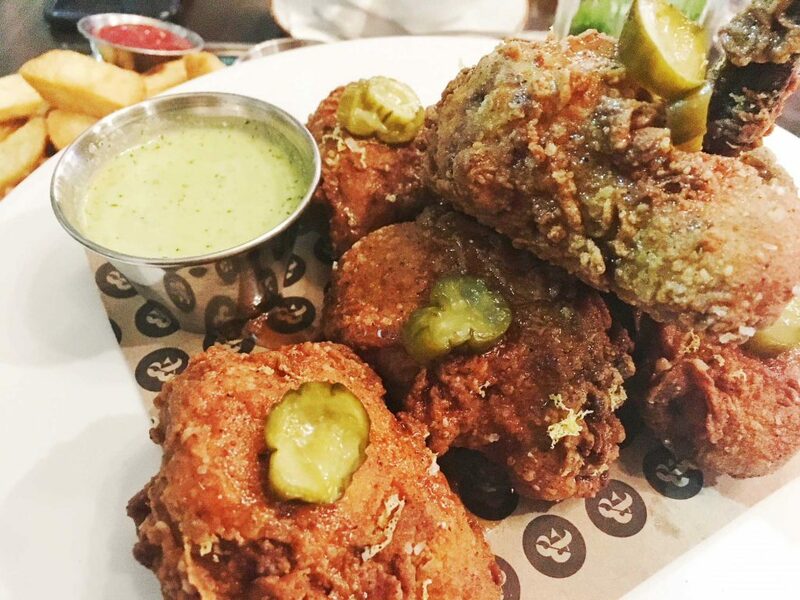 If you like fried chicken, you definitely need to go try this. That honey was a great touch. Hubby decided to go with the fish and ordered the Branzino. 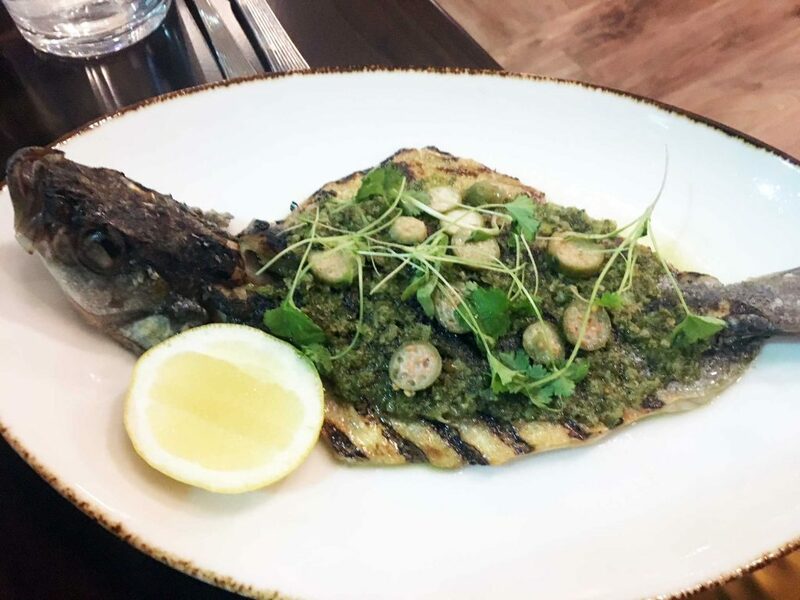 The sea bass was served with a salsa verde, capers and lemon. I believe this is no longer on the menu and was replaced with Fogo Island Cod which also sounds delicious. 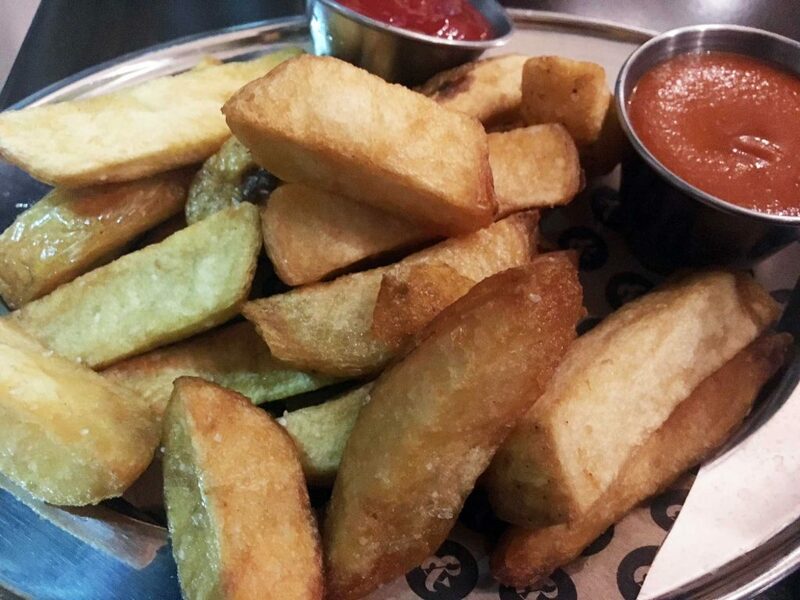 Fries are always my go-to so we ordered the triple cooked chips. They had a great crunch and I loved the house made ketchup that they were served with. We also ordered the spinach. 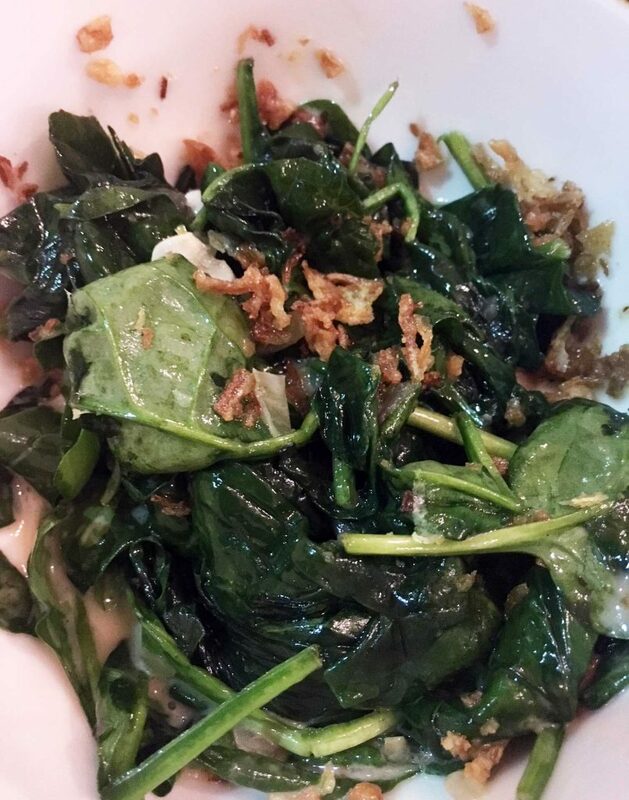 I have to admit, I didn’t take a great picture of this dish because I wasn’t expecting much from spinach. It was amazing. Yes, I was amazed with spinach. It was prepared with Yuzukosho butter and crispy shallots and I enjoyed this even more than the tasty fries. Seriously. We were stuffed but naturally we saved room for dessert. 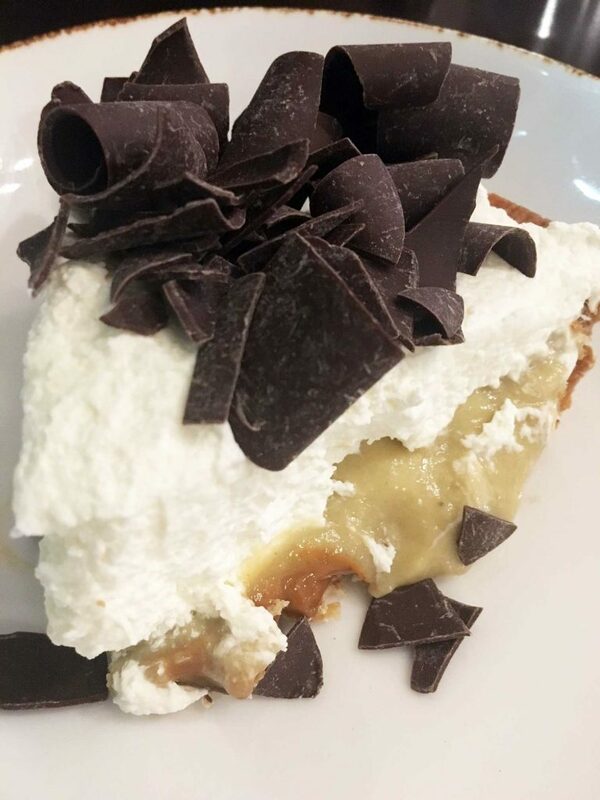 We went with the Banoffee Pie which was served with caramelized bananas, delche de leche and whipped cream. The perfect sweet touch and the pastry was flaky and delicious. The restaurant was large and spacious and had a great vibe to it. It’s a great place for a tasty dinner and has a great bar area if you’re wanting just drinks. Worth checking out!